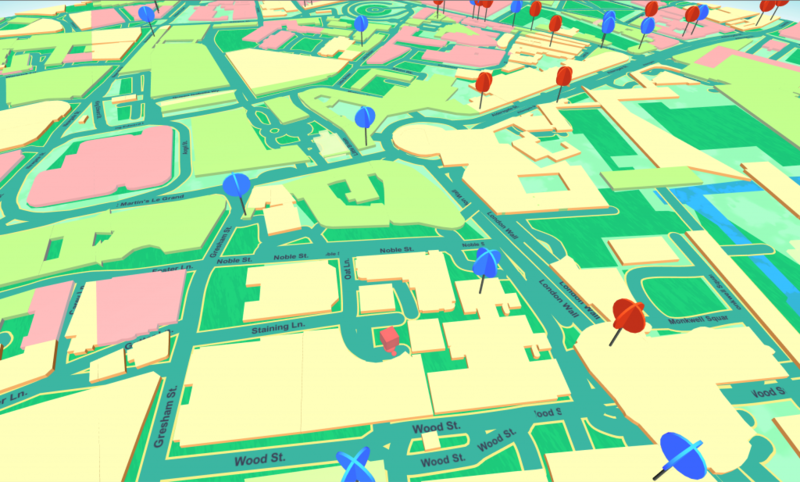 GoMap now features “native” POIs (Points of interest) from Open Street Maps using the Mapzen, Mapbox or OSM apis. You’ll notice a new section in the GOMap.cs component about POIs in which you can add a prefab for a POI kind (for example restaurants) and it will be drop automatically on the map wherever a Restaurant is present in the downloaded map data. This is a huge improvement for your location based games! It’s never been so easy to add various kind of prefabs to the map and without any additional request. The demo scene “POI – Demo.unity” is preset with 2 different prefabs for the Restaurants and Cafes of different color. You’ll notice that if you walk near them they’ll start to animate. If you want to add POIs of other kinds to your map just increase the Size of the Rendering Options list and select a different Kind in the new object. For each POI kind it’s possible to select a prefab that will copied and dropped on the map, a Tag (Unity Tag) and some Listener for the OnPoiLoad event. 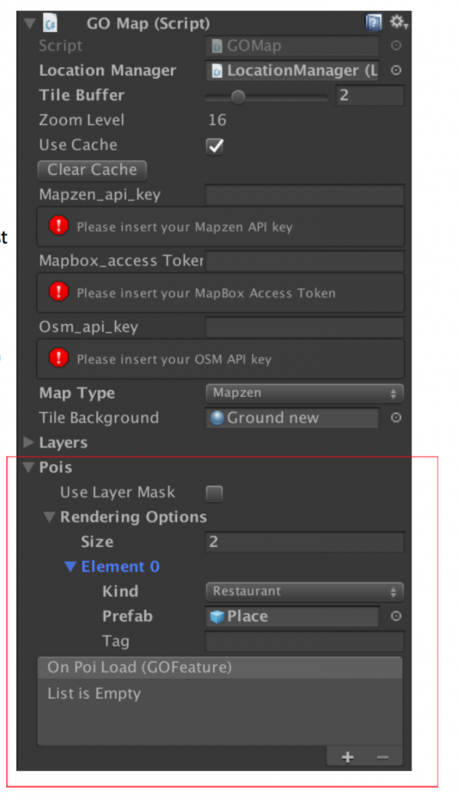 Start Inactive and Disabled are meant for the whole POI Layer as the other classic GoMap Layers.